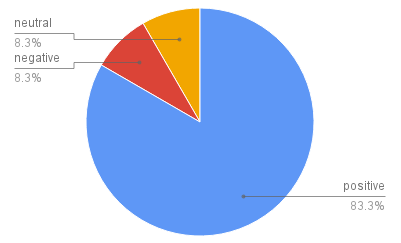 Based on 48 responses. 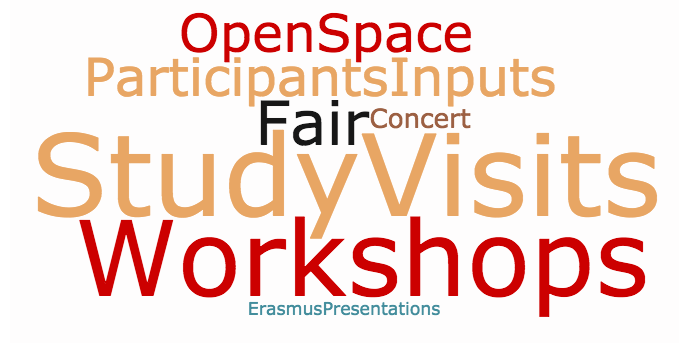 ​Word clouds for each question were made with a concept analysis algorithm to cluster responses into main concepts. Larger fonts represent a larger number of occurrences of the concept or related concepts. Font size does not intend to show sentiment towards the concept. Most respondents claimed that their expectations were met on different levels. 90% of the responses scored above 6, on the 1 to 10 scale, and 62% of the total received a score above 8. Outliers represent 6 percent of the sample. #What are the learning outcomes you will take back with you? Got to know new ideas and understanding about social innovation and entrepreneurship regarding knowledge, practices and opportunities. 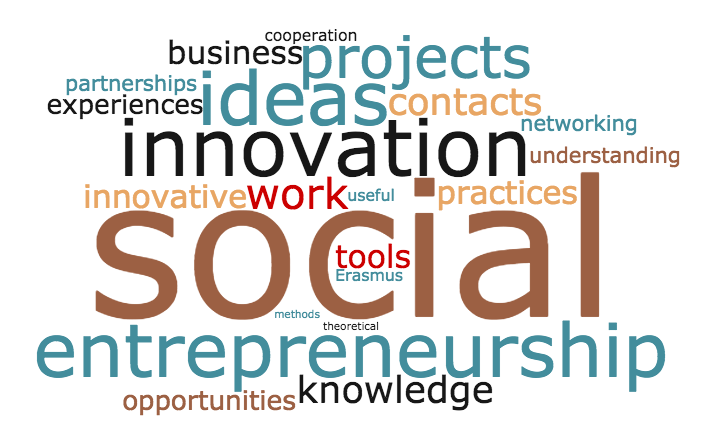 Discovered new and useful tools and methods to approach and put in practice social innovation and entrepreneurship. 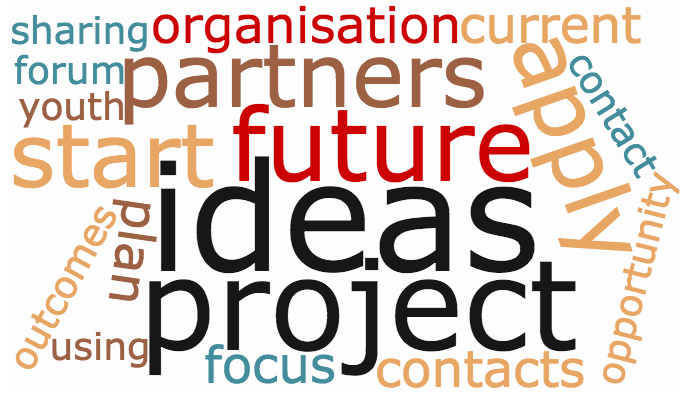 Found new opportunities and contacts for networking, partnership building and project building with the support of Erasmus+ and other sources of funding. #How will you apply the learning outcomes into your current/future projects? 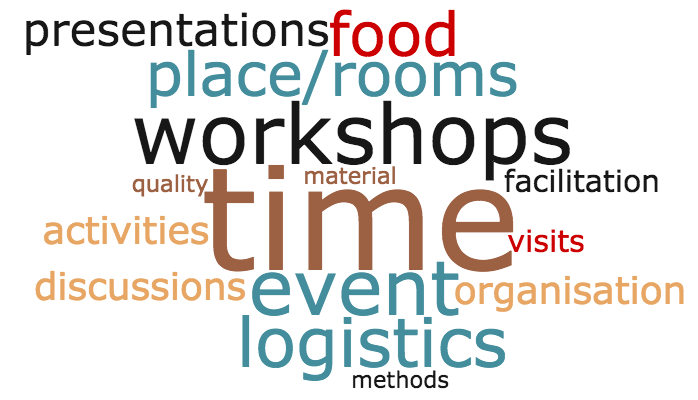 #What were the 3 most relevant moments of the Forum for you? Use practical examples (from the participants) to explain the differences between concepts, such as social entrepreneurship, social innovation, etc.